With the ability of specifically designed online Passenger Van Driver Training, training can be provided very easily and at surprisingly little cost. Trained and experienced drivers who know what to do to avoid emergency situations will help reduce the risks. The NHTSA’s study urges all van drivers to obtain specific training on the handling and operation of these vehicles. Their inherent lack of stability when full of passengers makes these vehicles very dangerous. The NTSB determined that the probable cause of two fatal 2001 van rollover crashes was due to a few factors. These factors were tire failure, the driver’s response to that failure, and the driver’s inability to maintain control. They noted that both drivers were familiar with their vans, but lacked any special training on reacting to tire failure. These drivers probably over-corrected after the blowout because they did not understand the potential instability problems associated with 15-Passenger Vans. 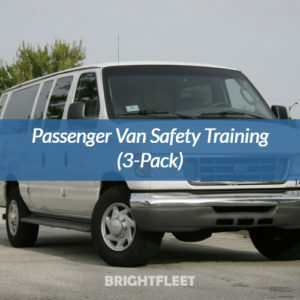 With the ability of specifically designed online 15-Passenger Van Driver Training, training can be provided very easily. Additionally, at very little cost. Drivers can take training programs every six months or yearly. This helps keep the lessons learned fresh in the minds of the drivers. Additional hazard perception evaluation specific training programs can be added to create a comprehensive driver training program for organizations and companies of any size. Trained and experienced drivers who know what to do to avoid emergency situations will help reduce the risks. This will also ensure each journey ends safely at its destination instead of as a statistic in a NTSB report.